Developed around 1976 by George Oberle at Virginia Polytechnic Institute in Blacksburg, Virginia. 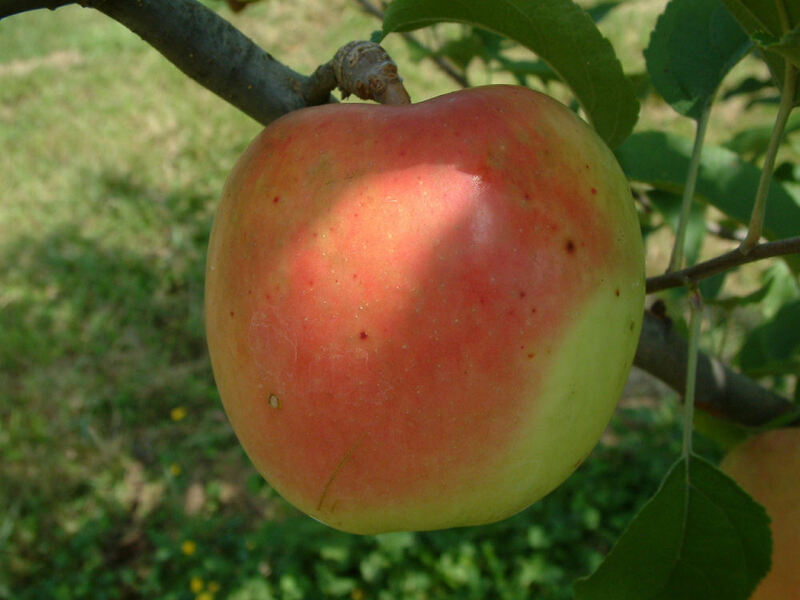 It is a cross of Newtown Pippin and Golden Delicious, with a flavor characteristic of Newtown Pippin. It reaches its peak flavor after storage for several months. The smooth, clear skin is bright yellow with an attractive pink blush. The clean, white flesh is crisp and juicy with a pleasant, distinctive flavor. An outstanding dessert apple, but also well-suited for culinary uses. Ripens in early October and is a fine keeper. 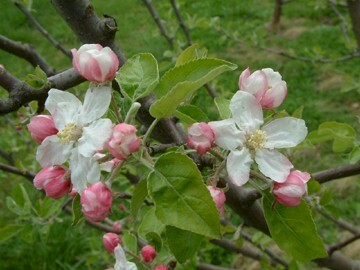 My wife and I want to start an orchard on our farm in Galax, VA. When do we need to purchase and plant? We definitely want the Virginia Beauty, Stamin Winesap, Yellow Transparent, Virginia Gold, and others by suggestion. We want mainly apples that are good cooking apples (that hold there shape when cooked) and that store well. We are going to start our orchard with 20-30 trees.